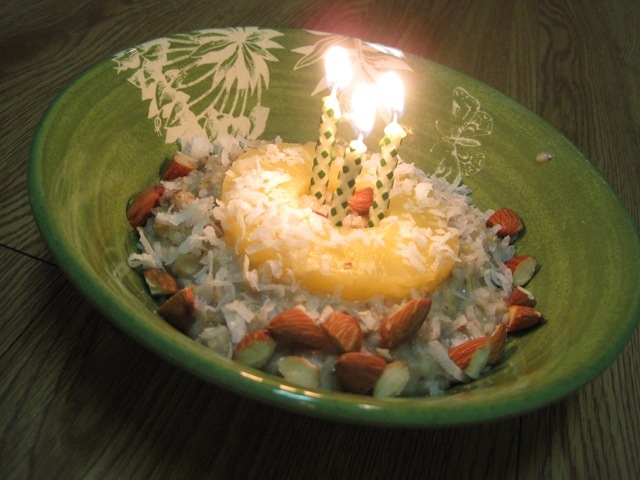 At approximately (ok.. exactly) 7:52 am, 23 years ago, a cute little baby named MegaNerd came into the world. I don’t really remember too much of it. Ironically, I don’t remember to much of my 21st birthday either. 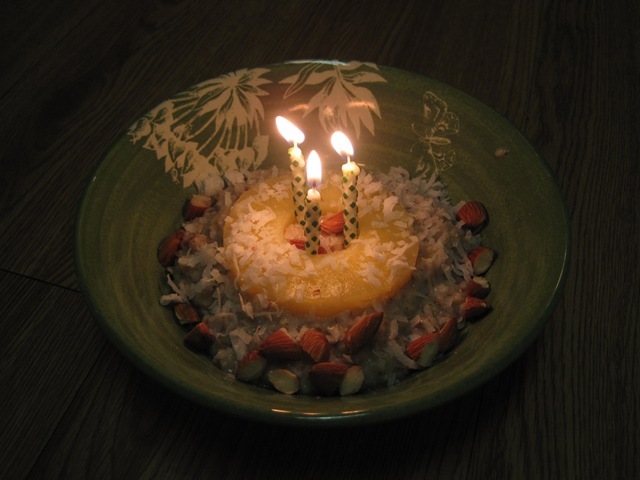 Just because I live alone doesn’t mean I’m not going to celebrate my birthday! 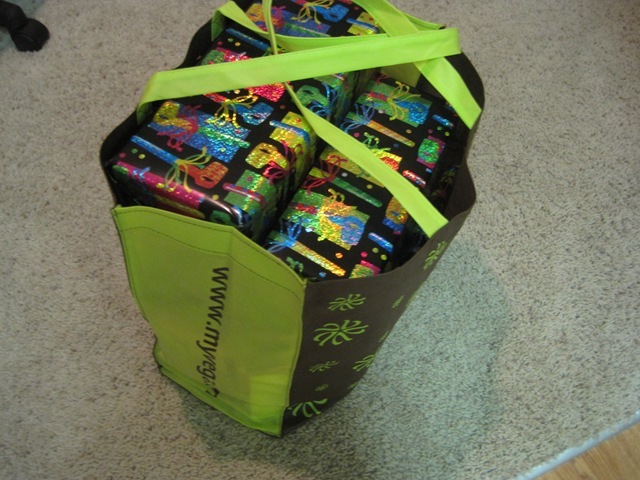 My mom sent me a birthday package last week, and I have been DYING to open it! I was good, and waited until this morning to open them. My mom is always so creative with her gifts! 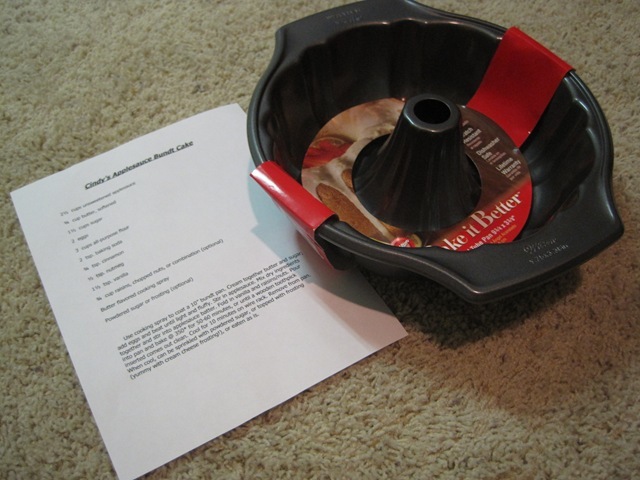 She sent me a copy of her Applesauce Bundt cake, and the pan to bake it in! 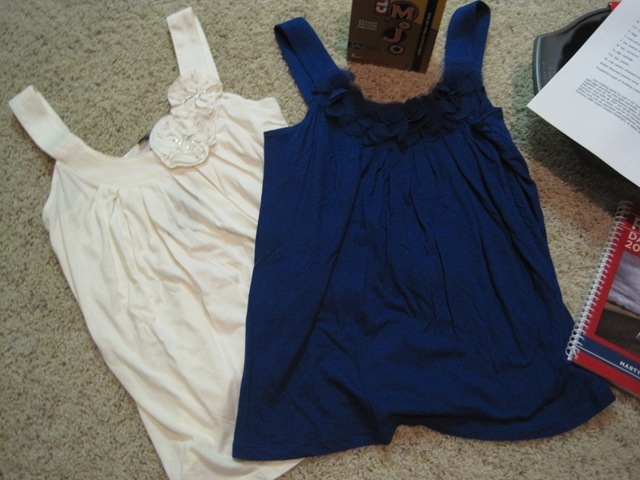 She also sent two tank tops from my favorite store, Express. 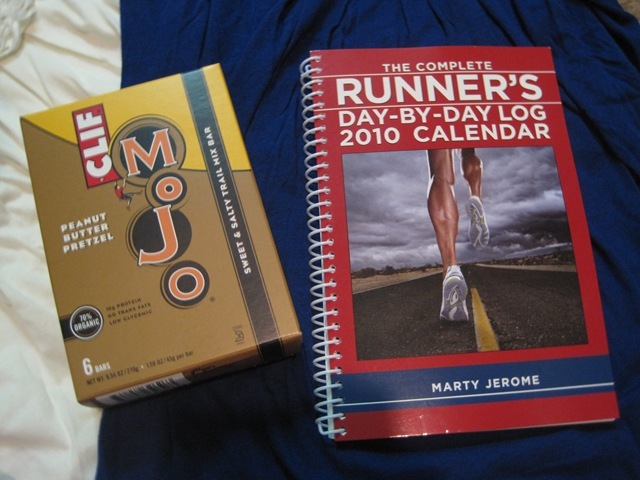 A box of CLIF mojo bars, and a runners’ log! She knows me so well! Despite it being my birthday, I have a RIDICULOUS amount of stuff to get done. Every minute involves at least 3 tasks at once, which gets tricky and stressful. My dad is coming up tonight from Tampa to take me shopping for a bed, and to dinner for my birthday! I better start thinking of what I want to eat… YUM! PS… I have a huge pile of blog related e-mails to respond to. If I haven’t gotten to your e-mail, I promise I will once I get a stable internet connection, and 5 seconds or so to breathe!